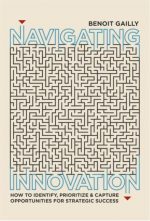 Innovation is today seen by many organizations as a key strategic issue. These organizations, however, often embark on costly innovation initiatives, without having any clear idea of what they want to achieve (thus they are inefficient) or why (thus they are ineffective). Too often, they do not understand or do not agree on what innovation is or why they want to innovate. The first challenge of innovation management is therefore to develop a shared strategic vision of innovation: why a firm must proactively manage innovation, what innovation actually means as a business, how it unfolds as a process, what are the different types of innovation, what are the resulting strategic options and what should drive the decision-making regarding those options. Select those issues in the menu to explore key insights and selected references.